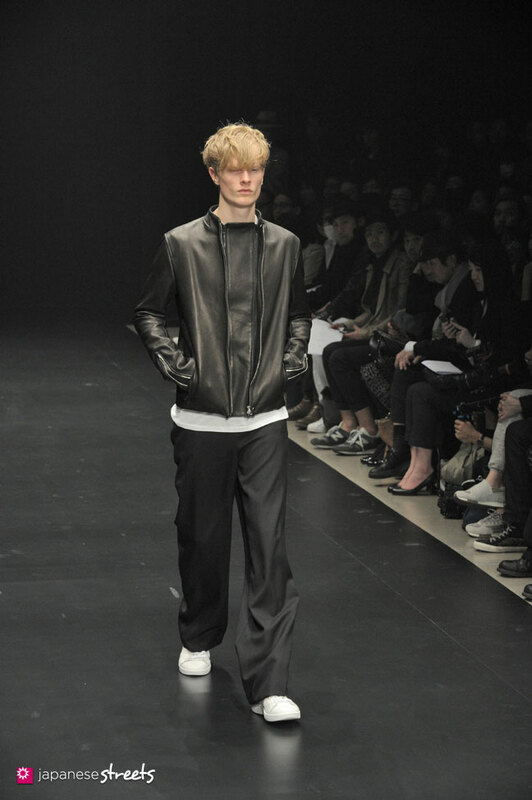 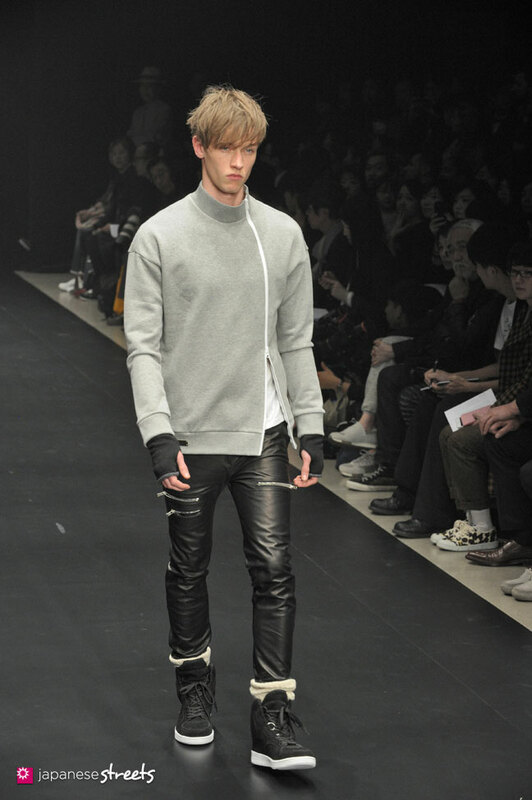 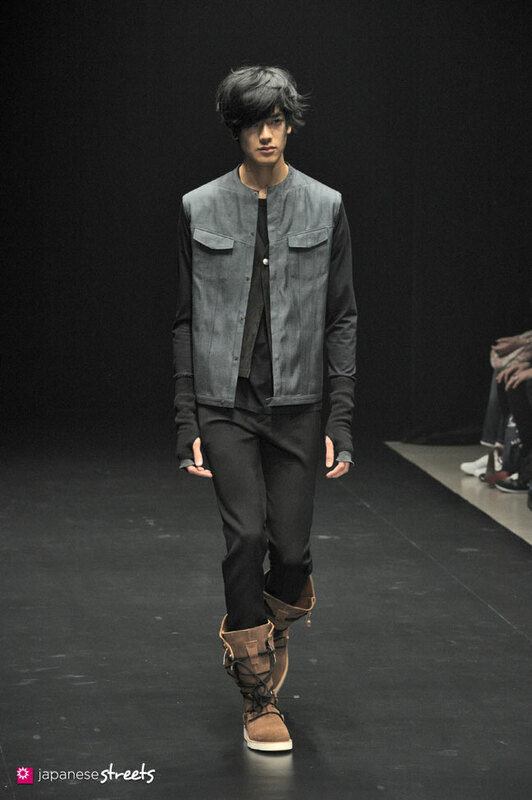 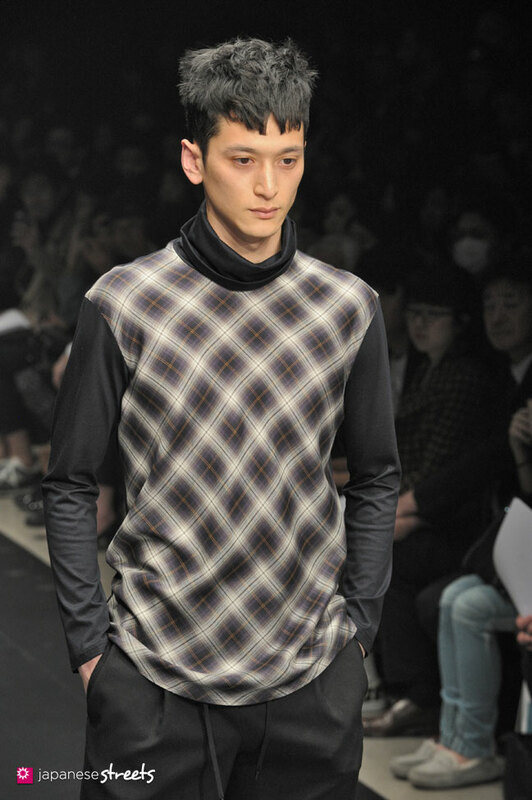 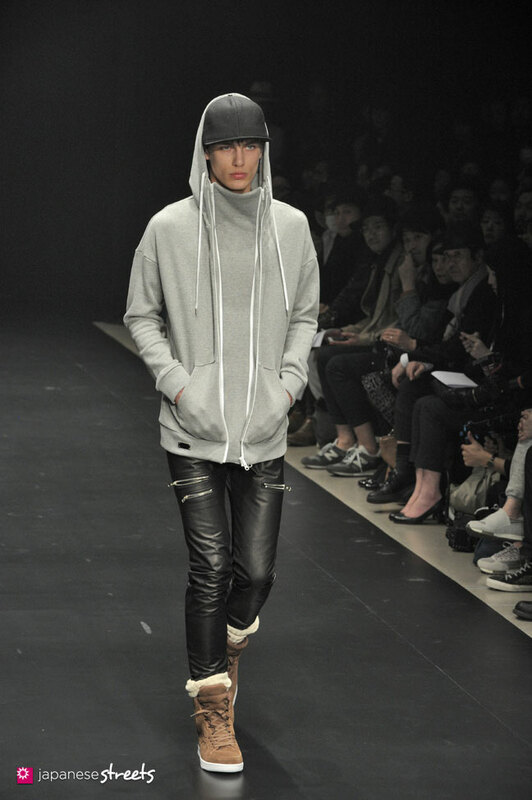 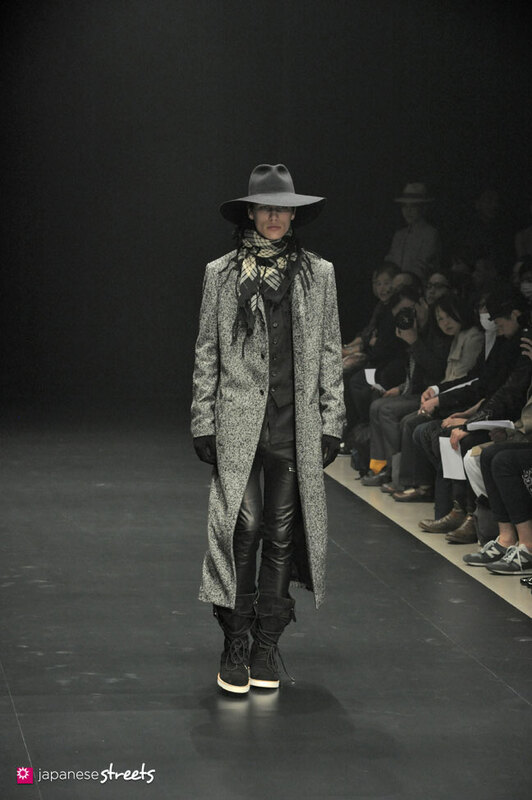 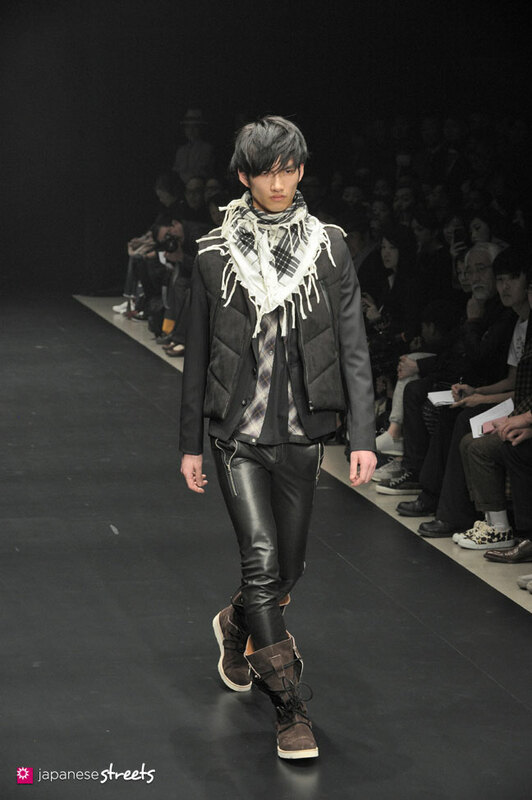 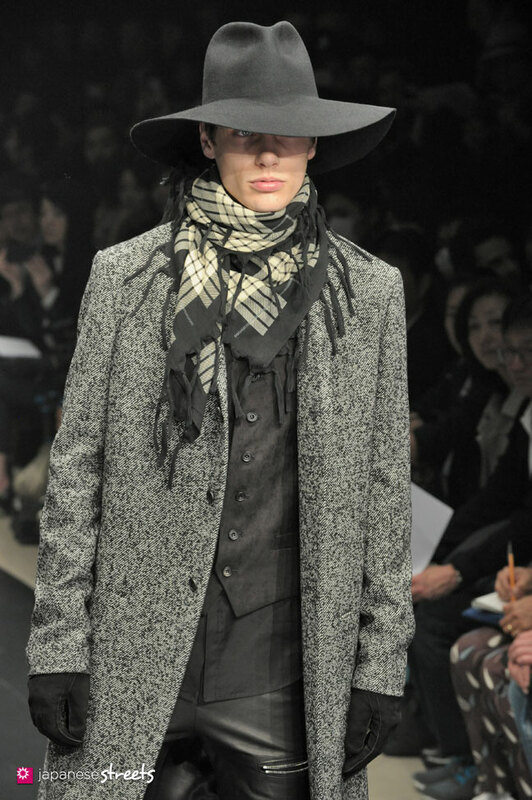 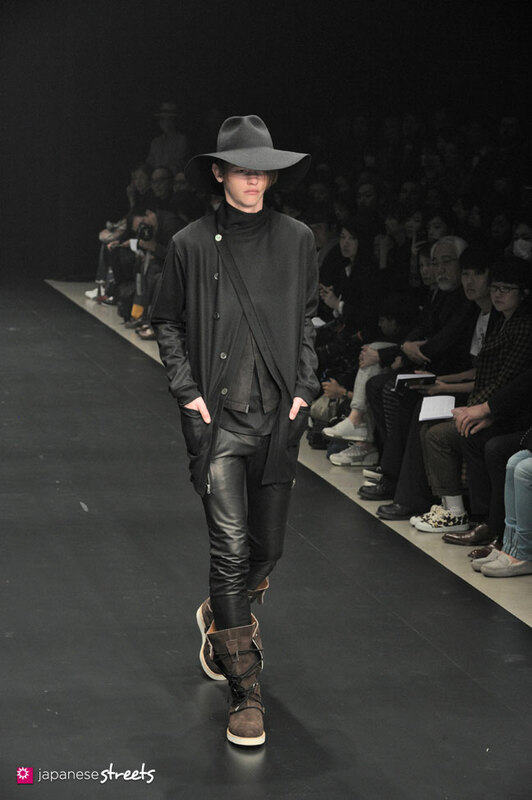 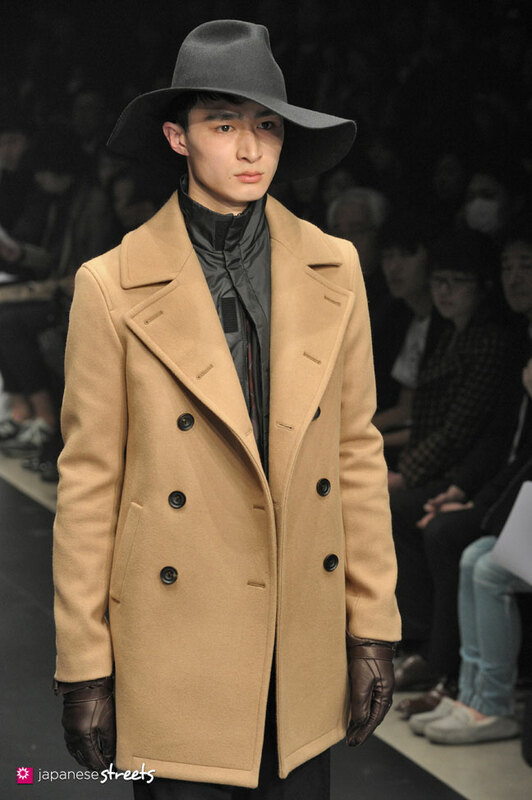 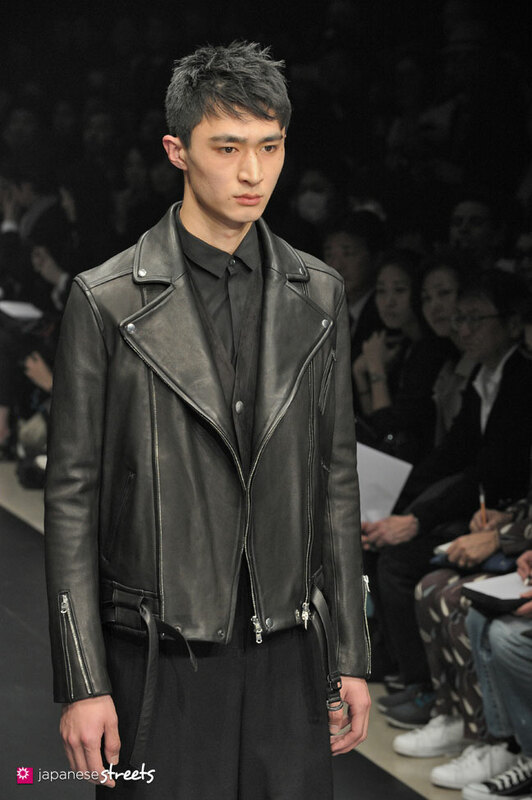 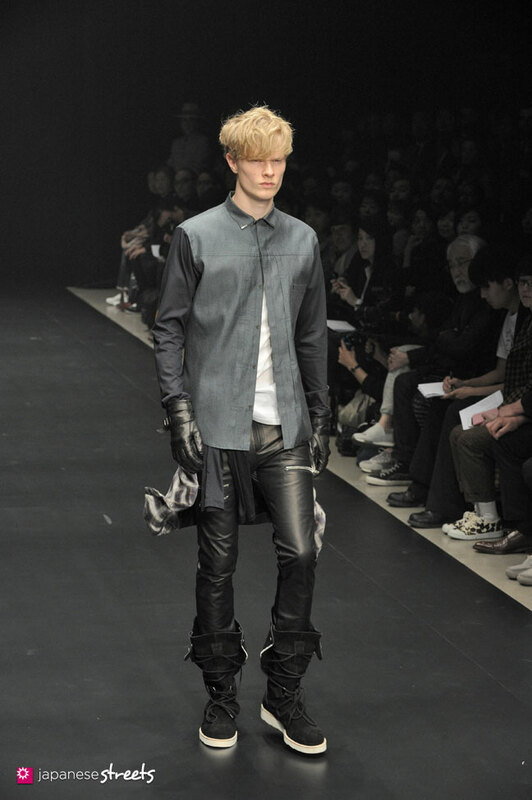 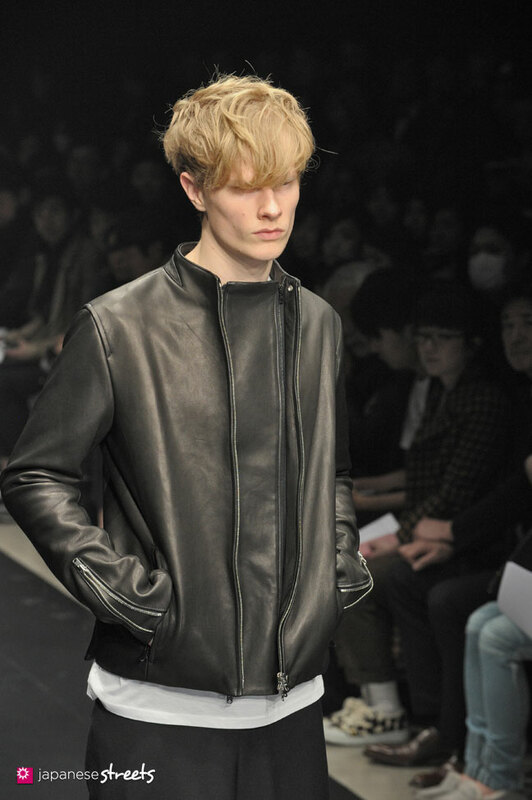 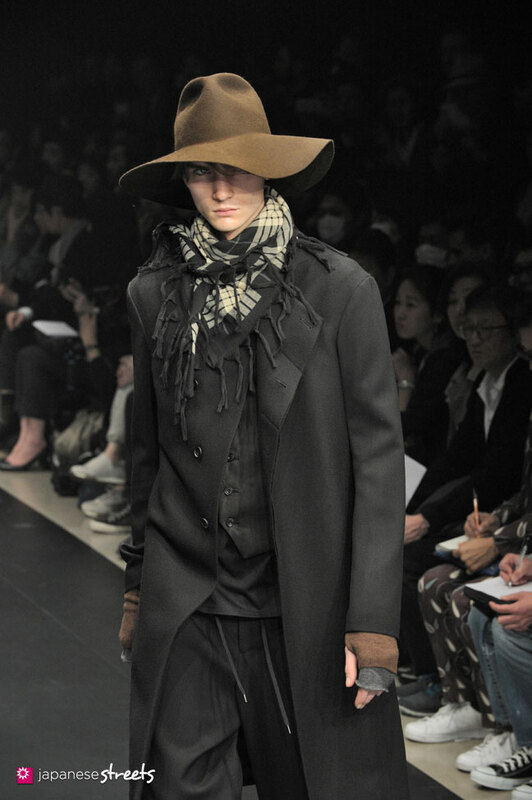 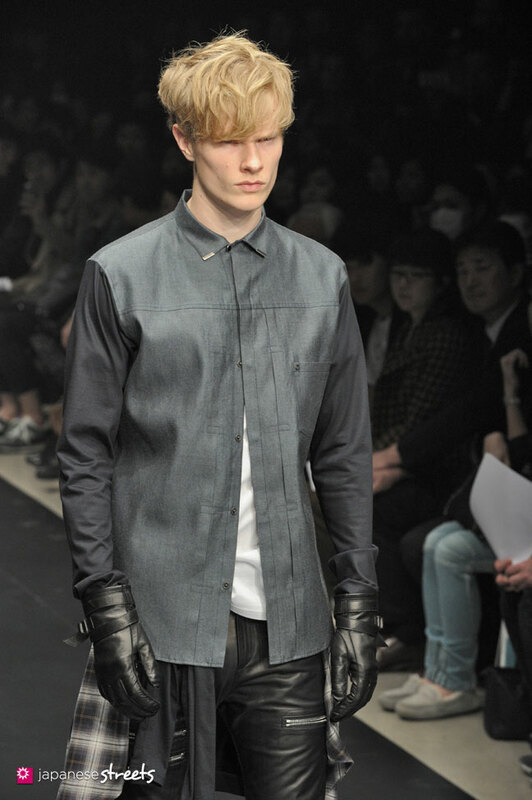 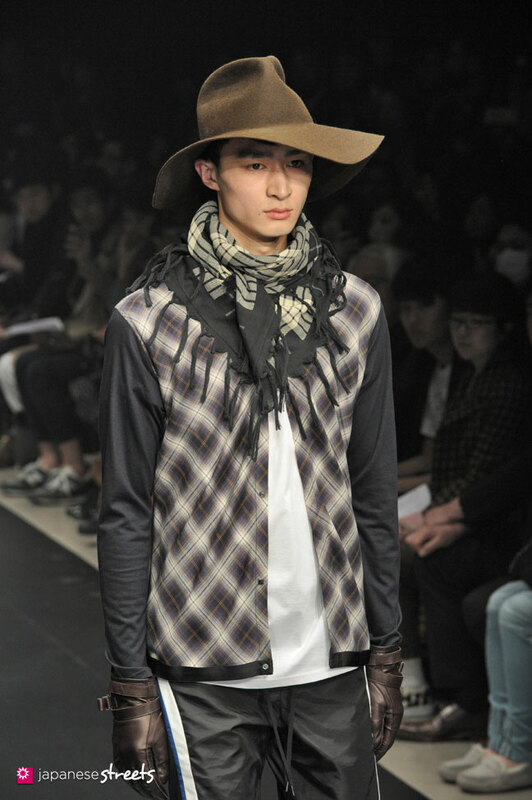 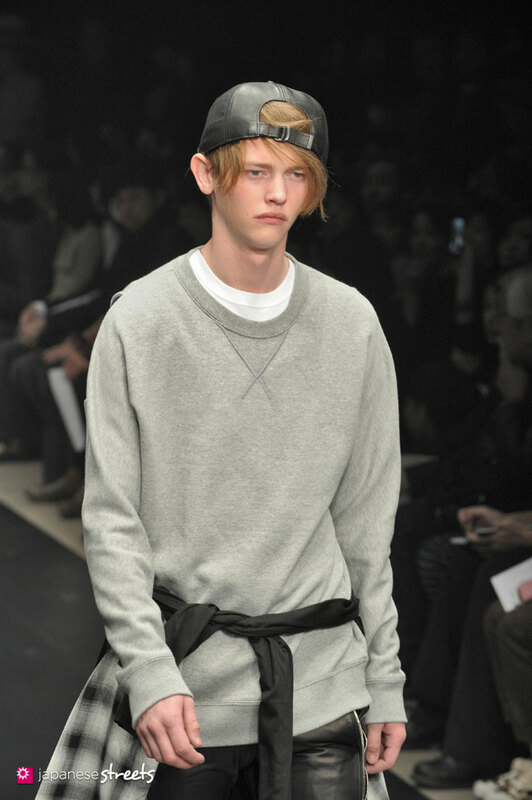 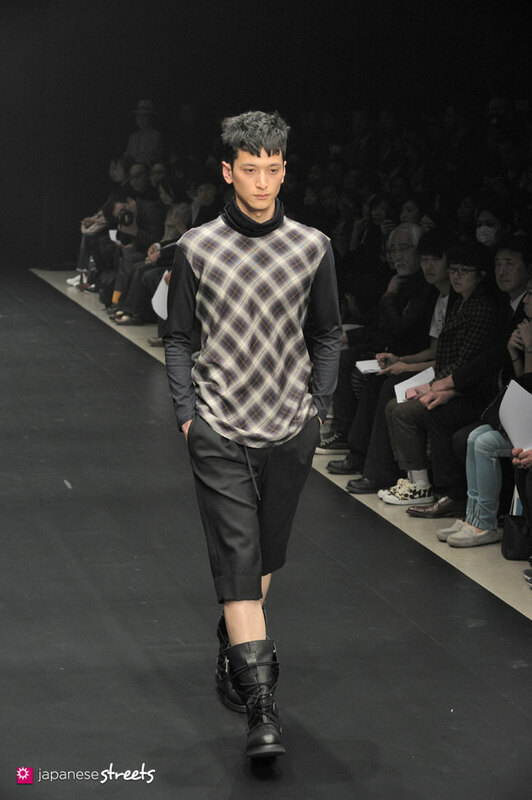 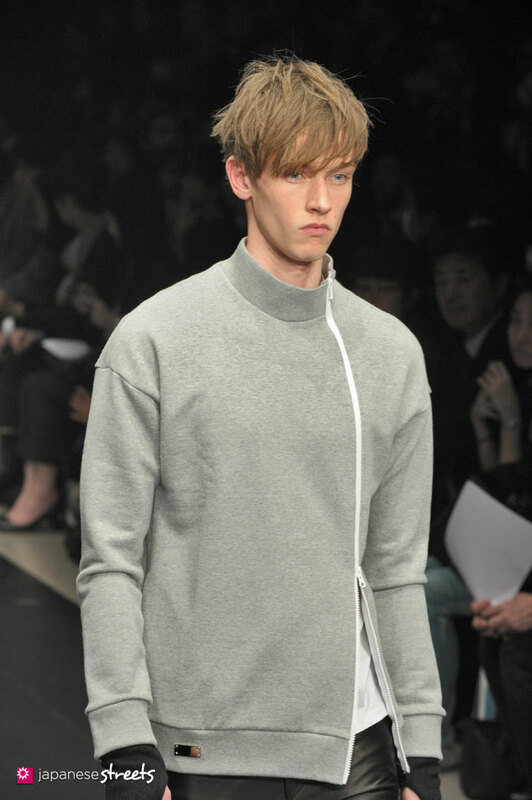 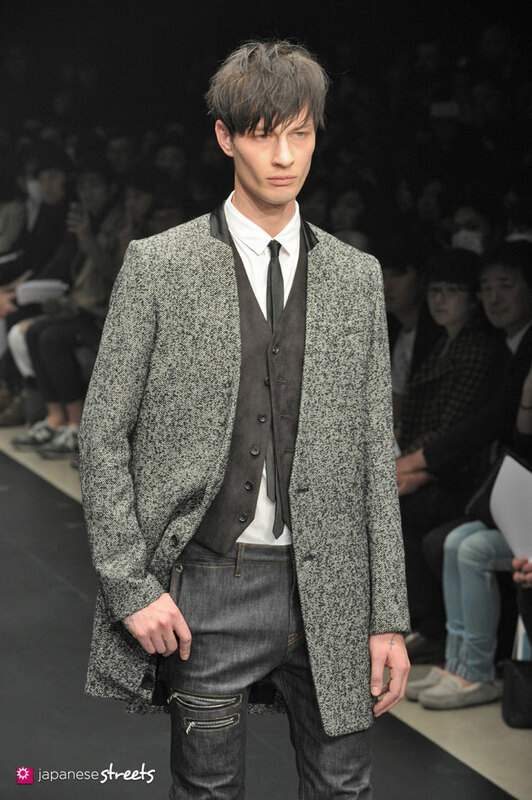 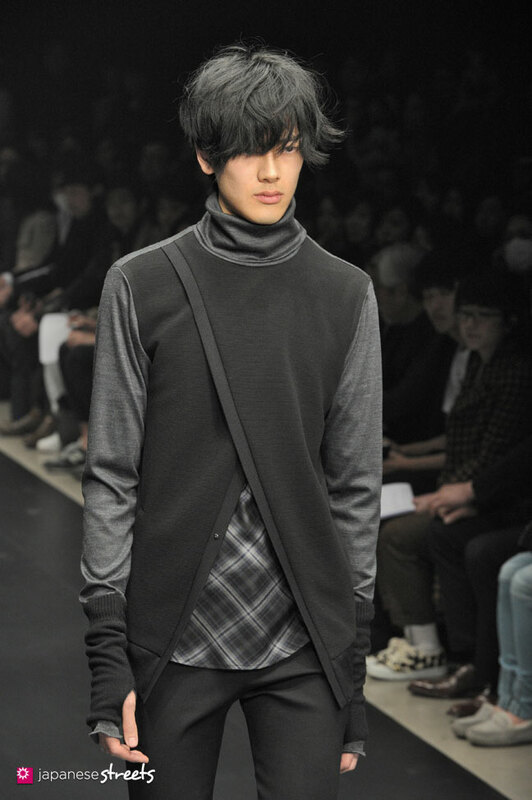 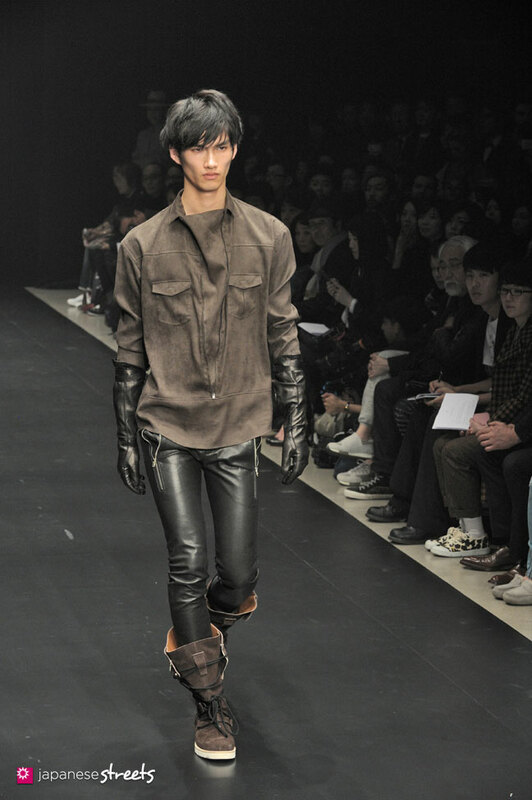 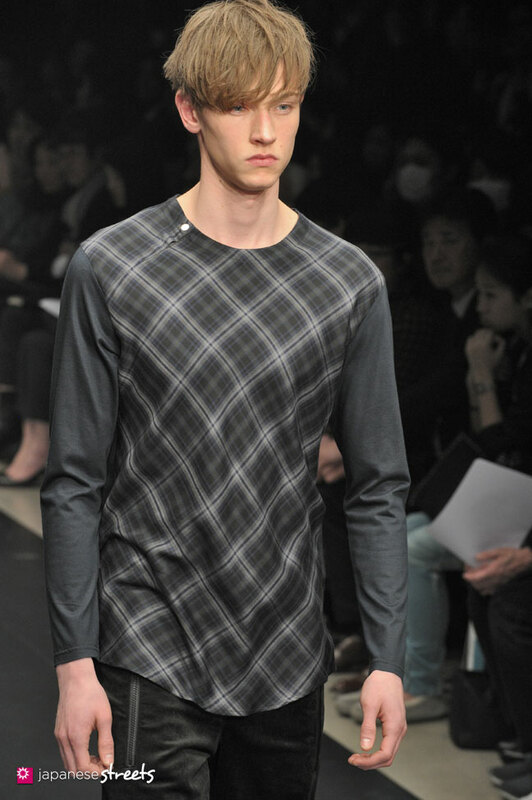 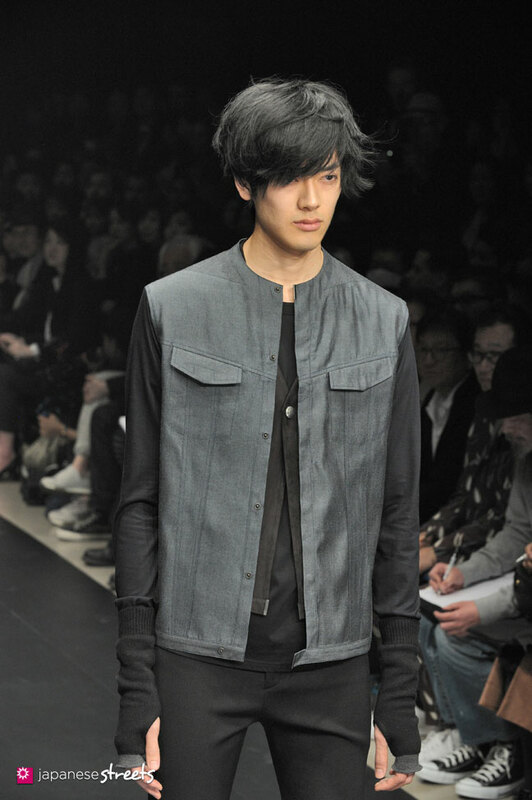 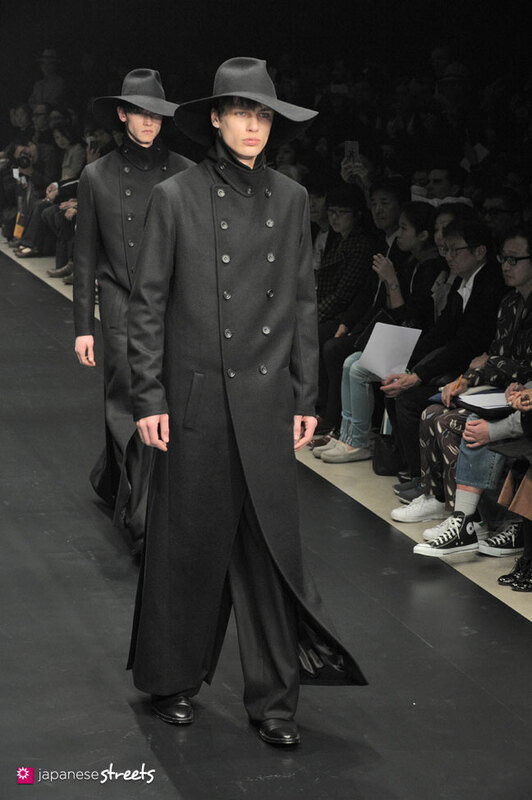 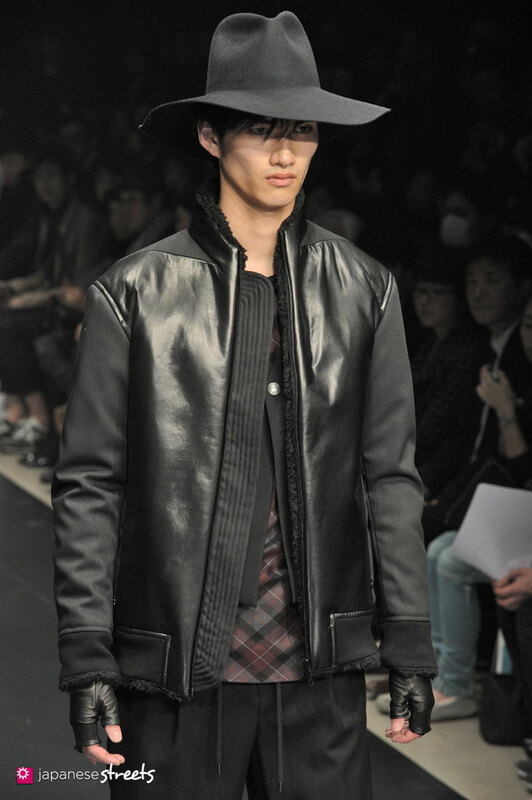 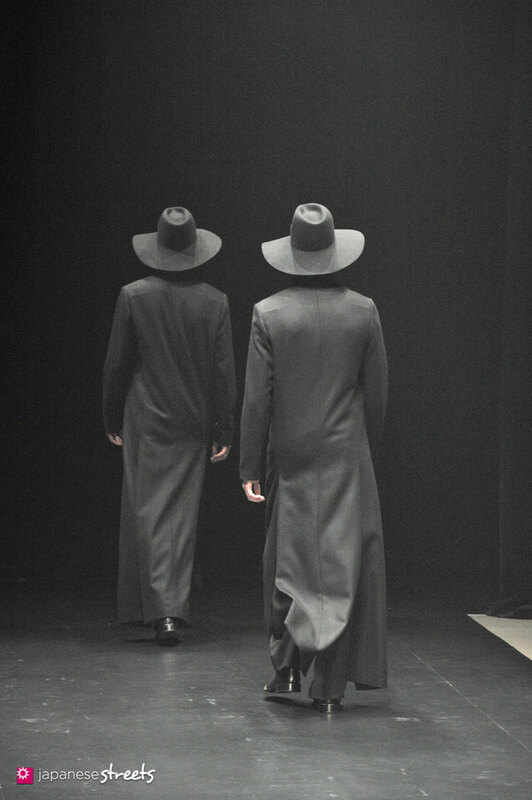 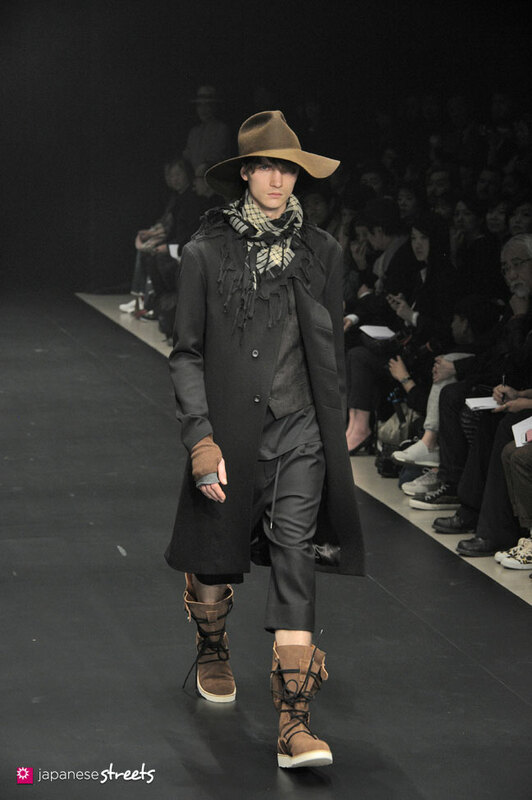 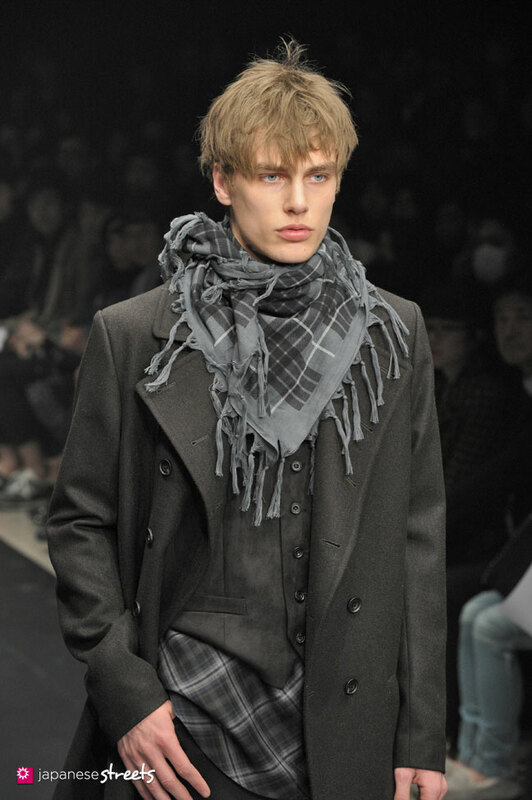 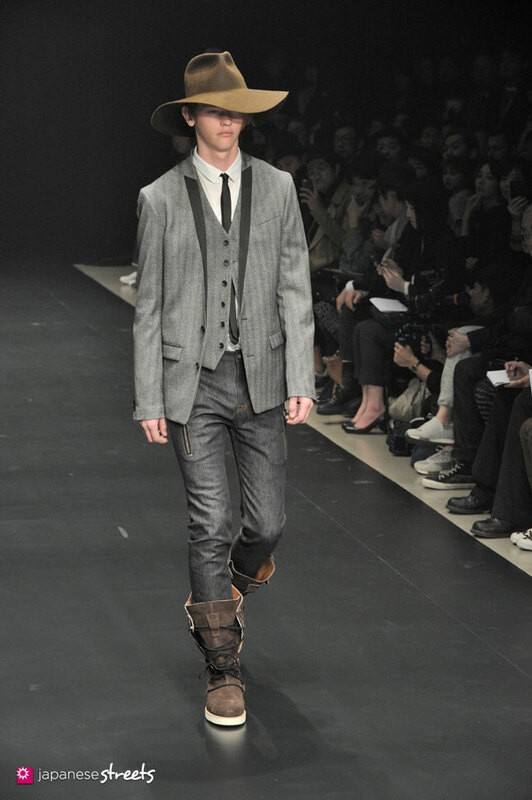 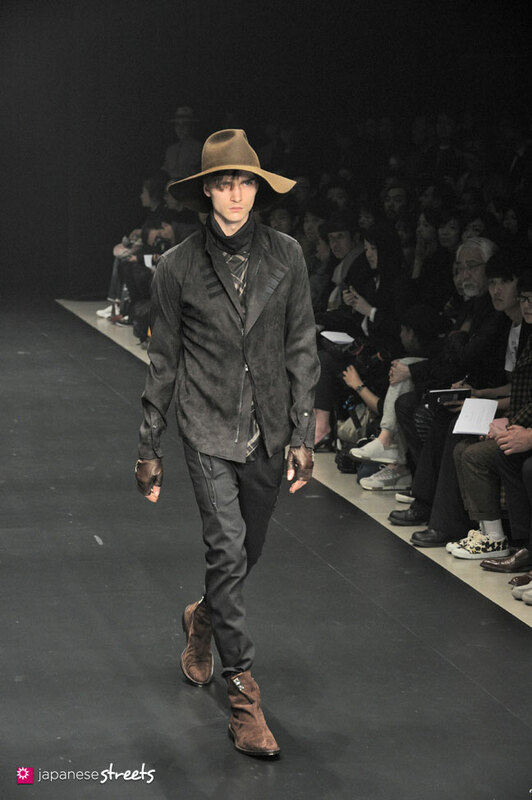 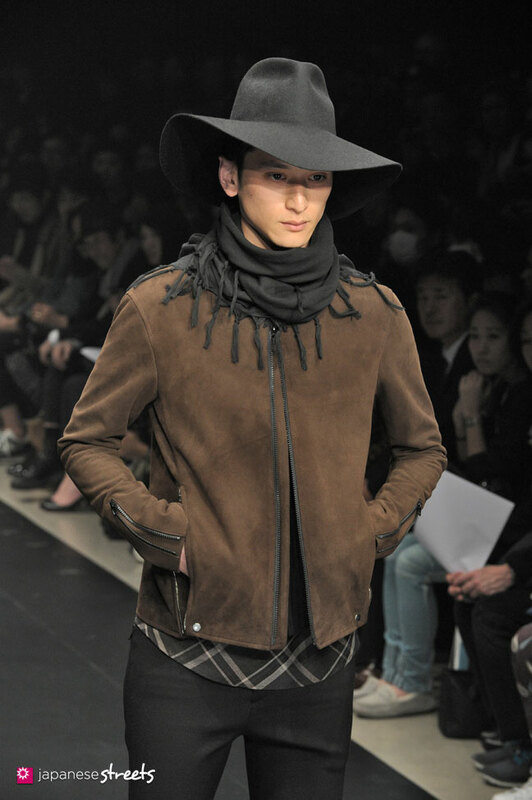 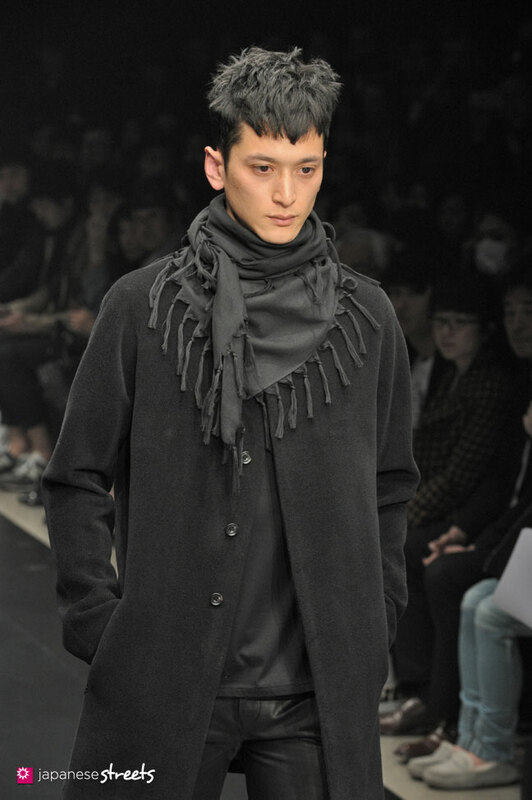 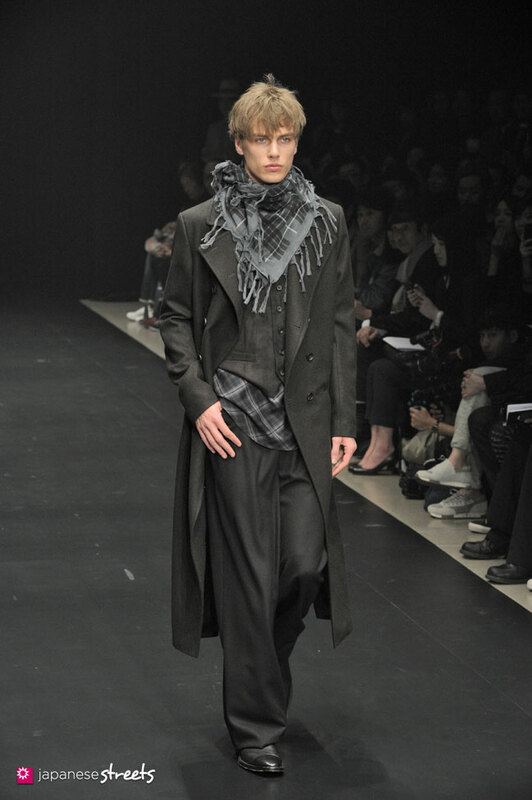 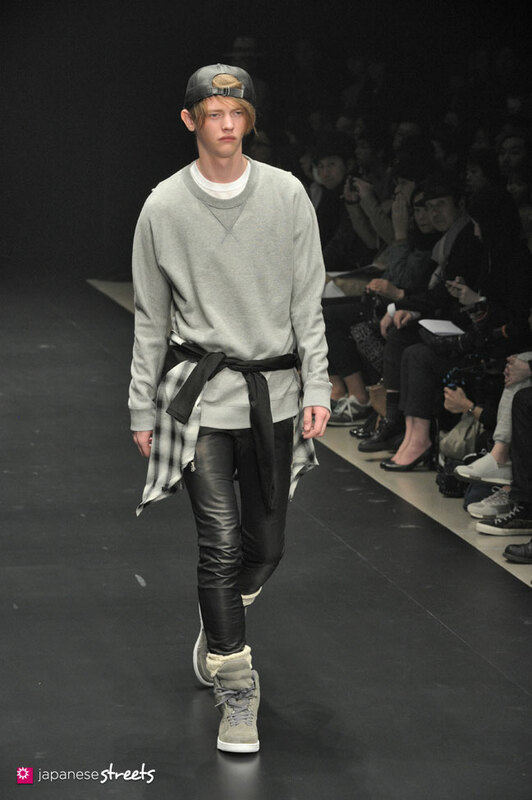 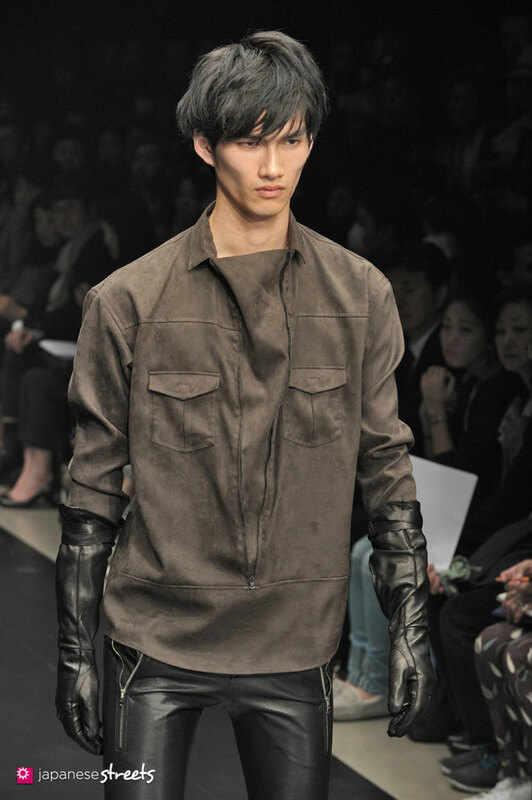 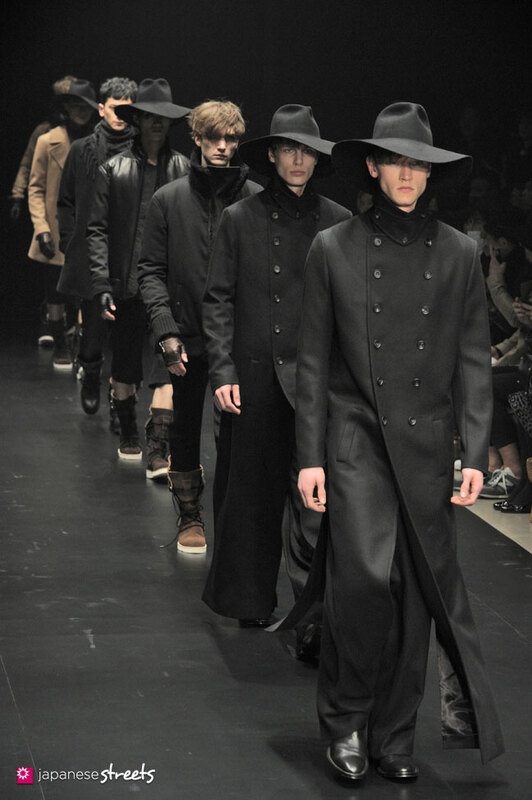 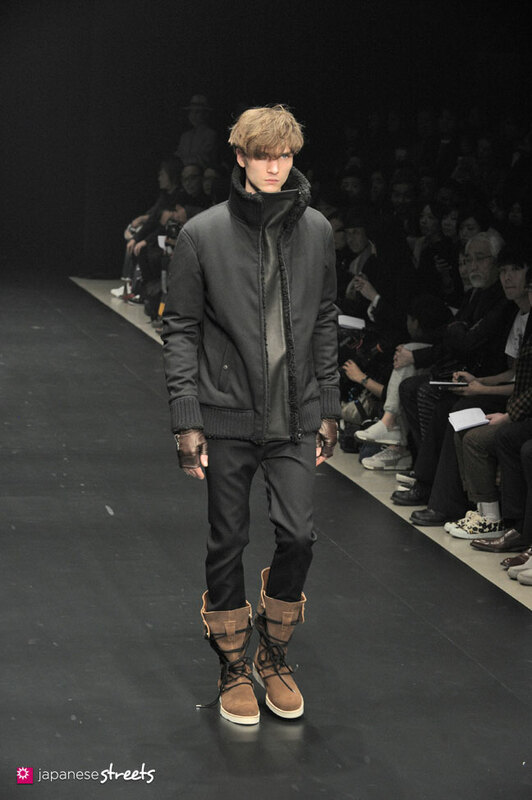 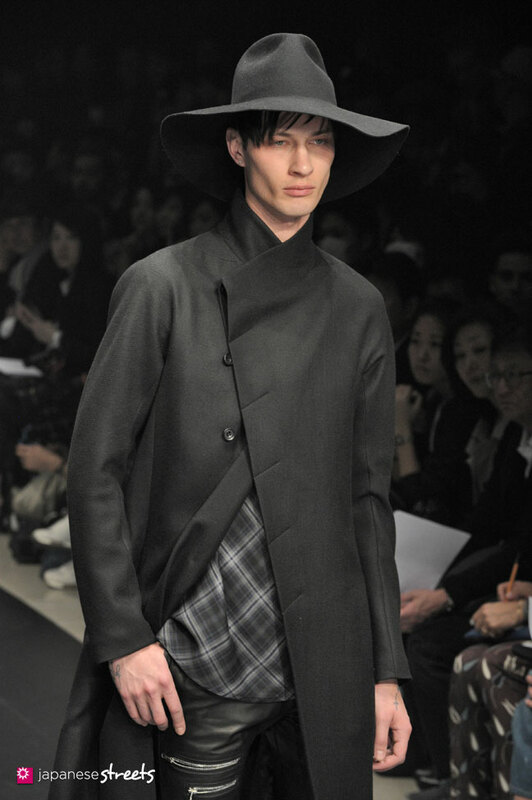 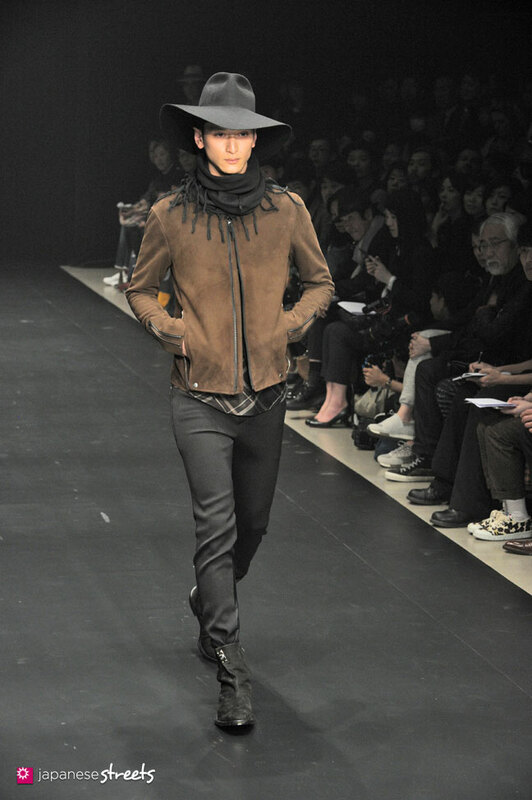 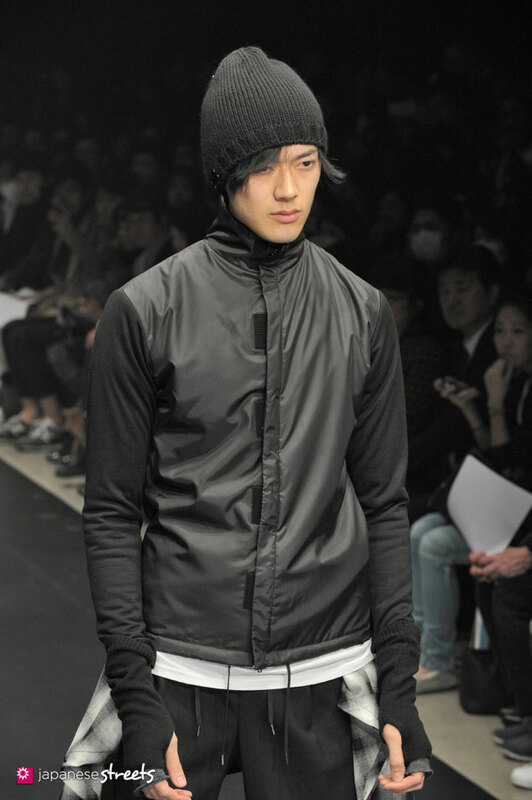 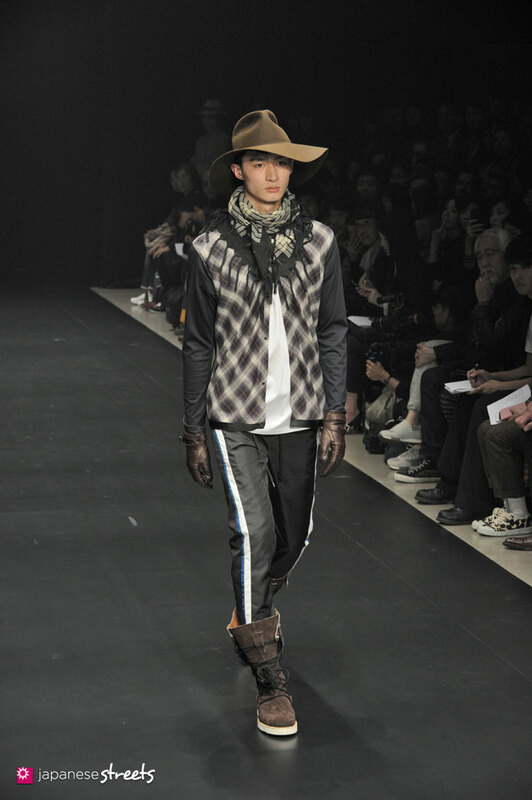 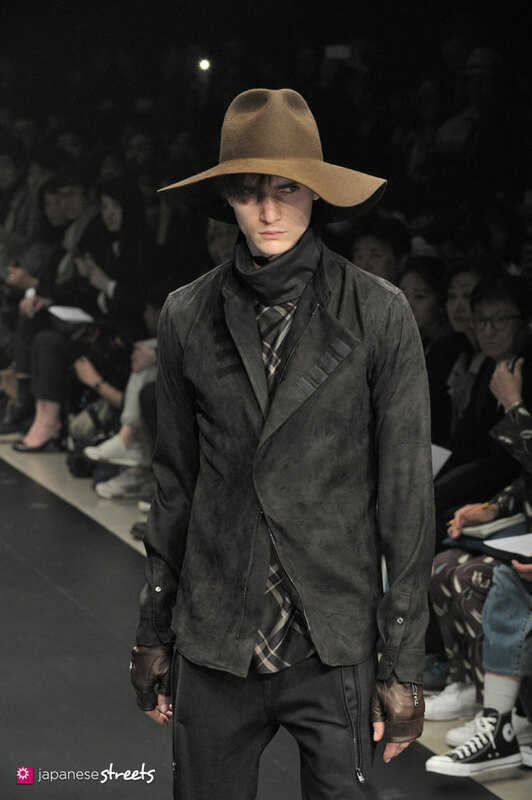 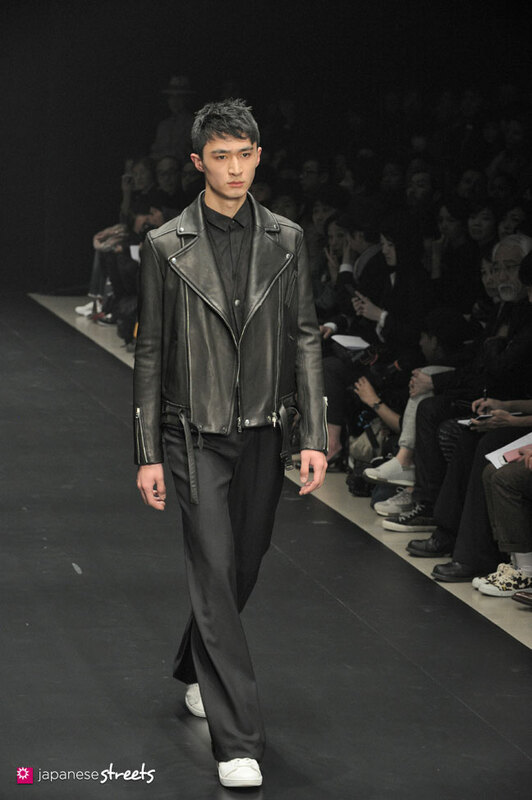 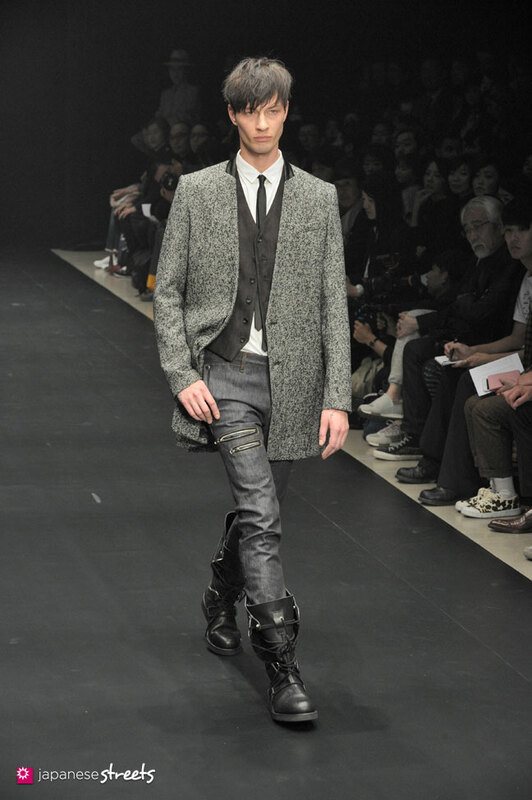 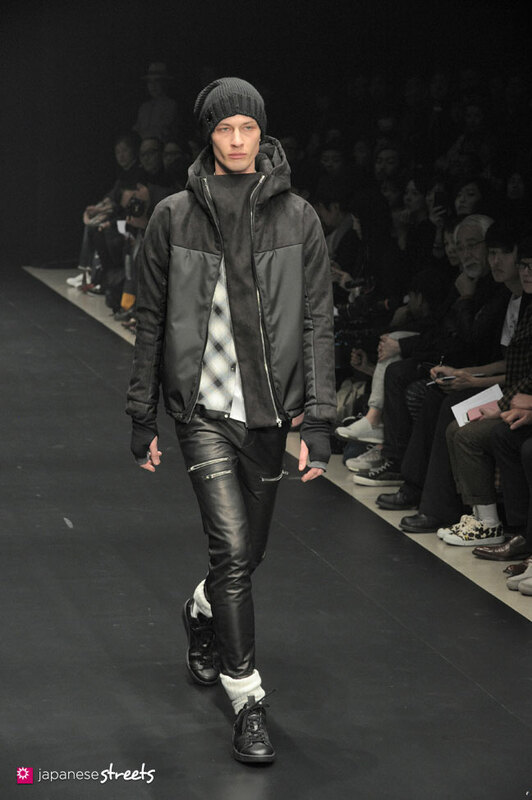 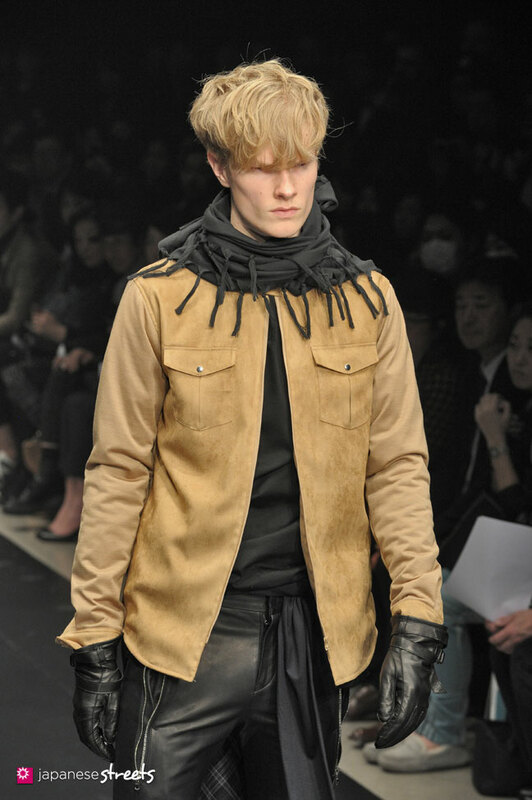 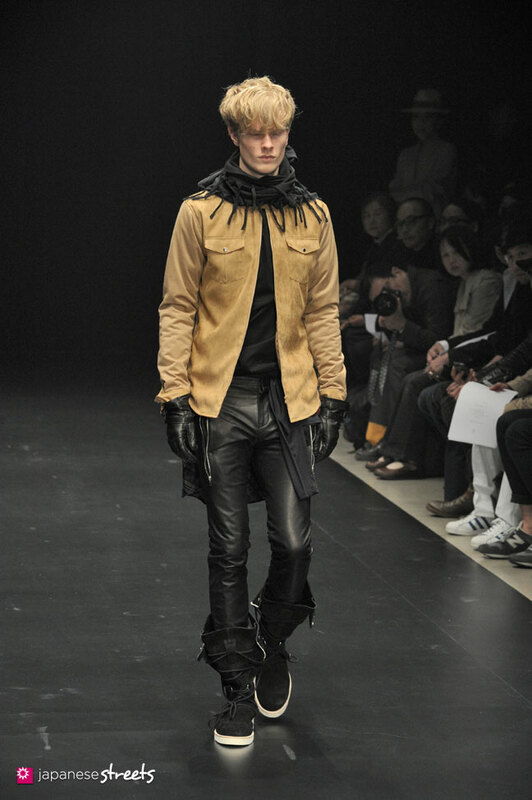 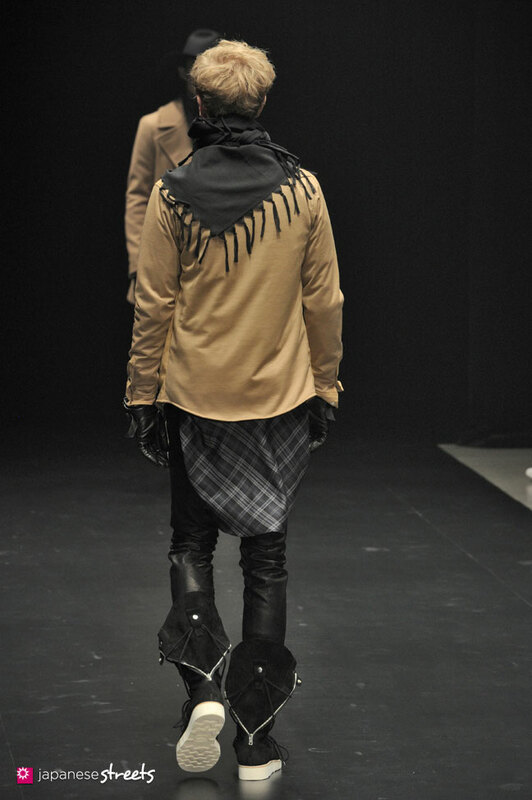 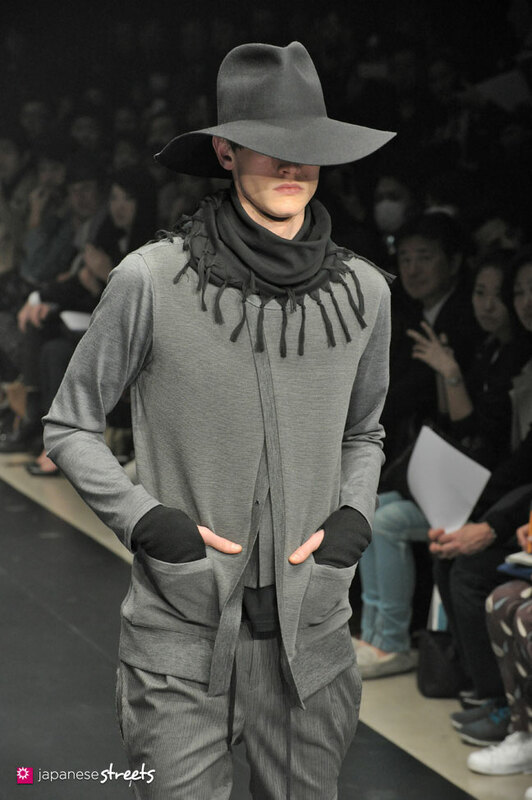 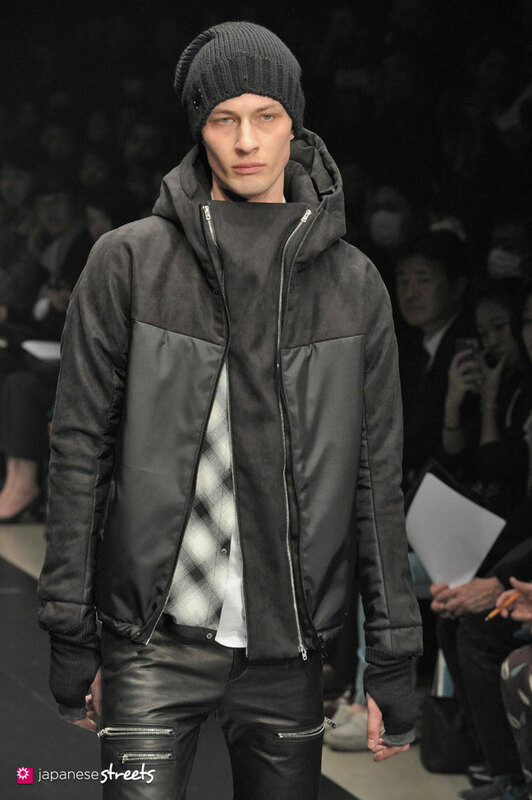 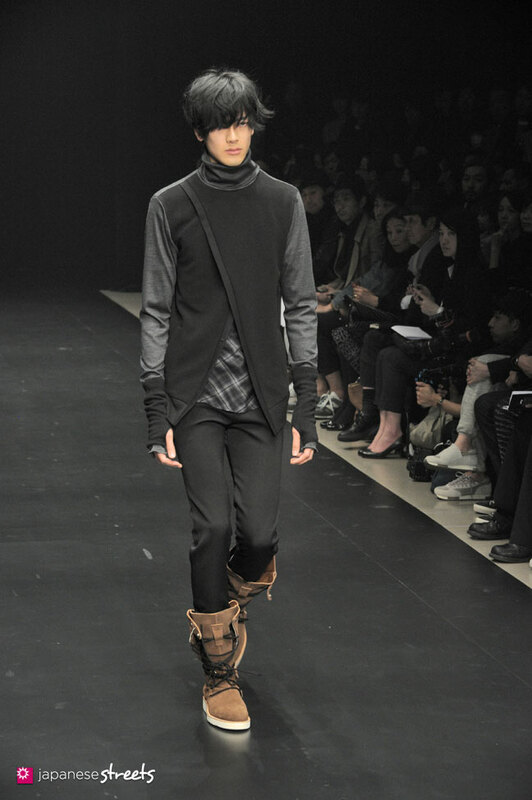 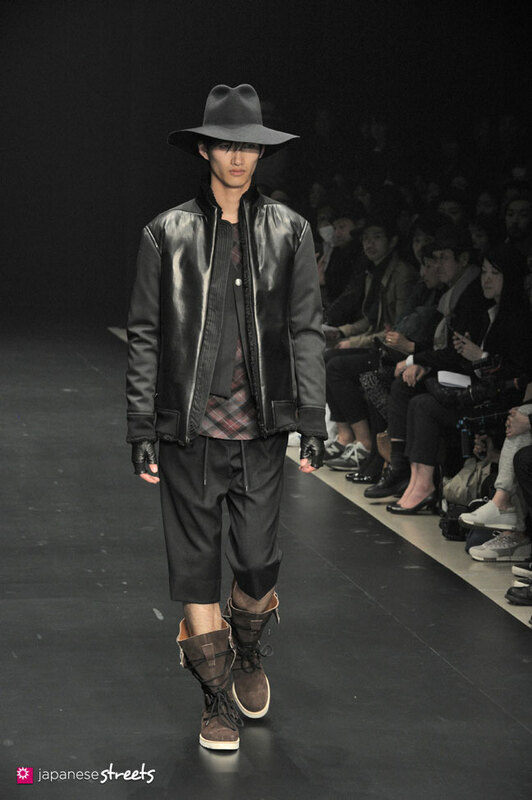 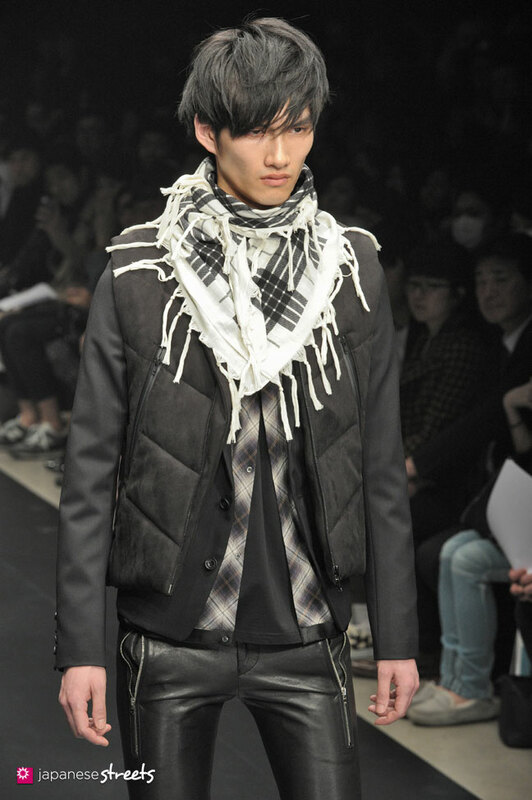 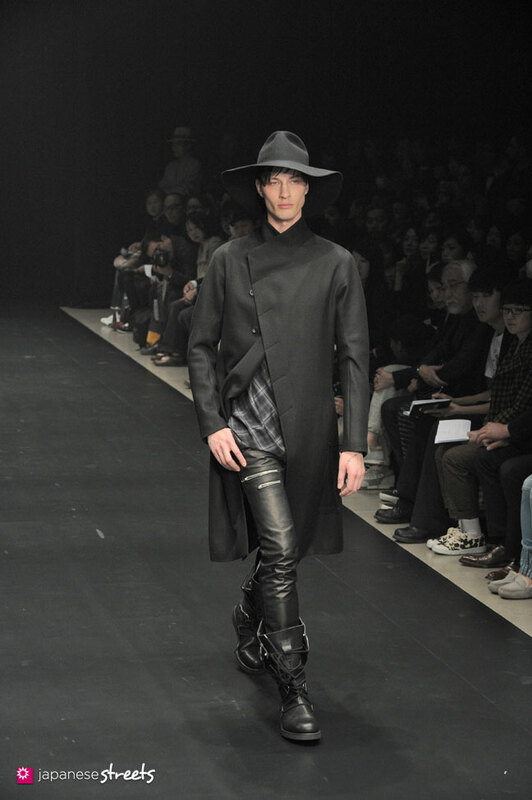 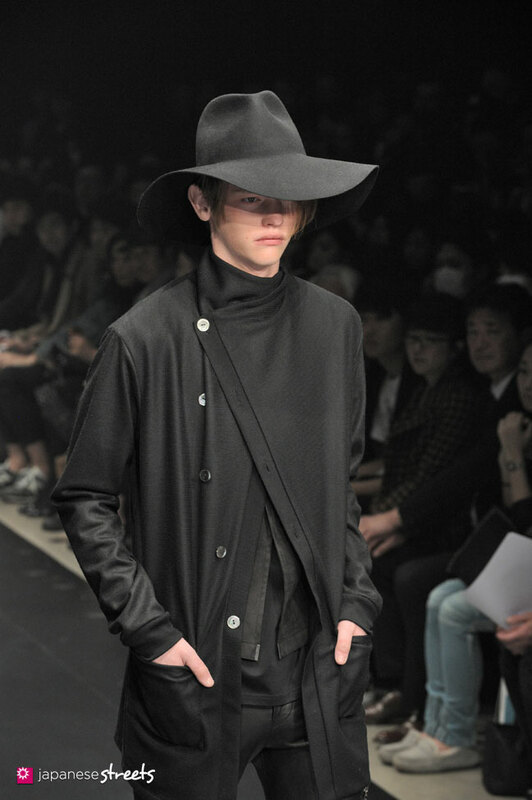 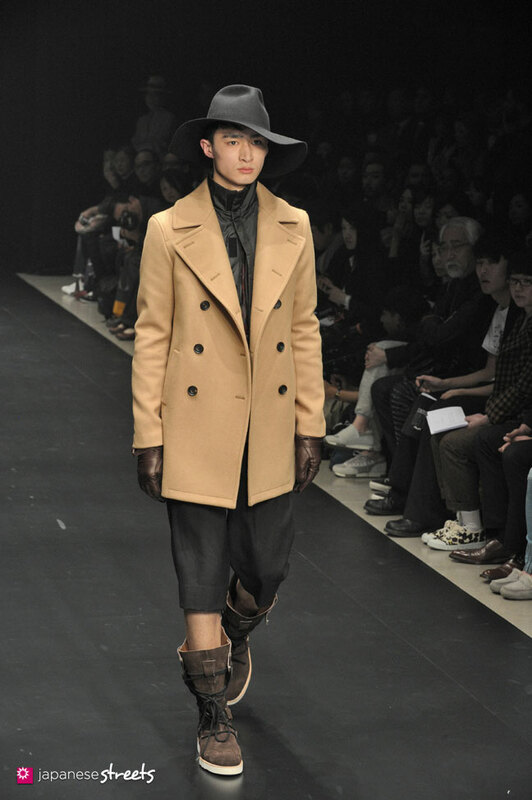 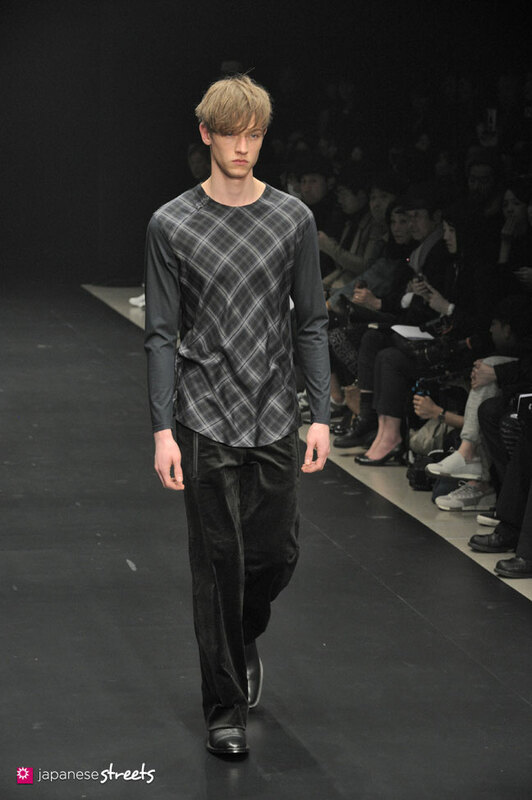 Autumn/Winter 2015 Collection of Japanese fashion brand ato on March 18, 2014, in Tokyo. 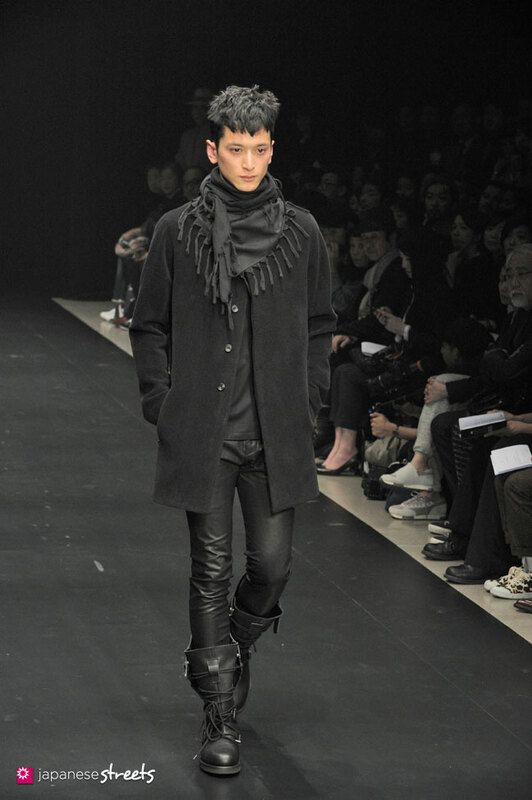 I love those tall boots! 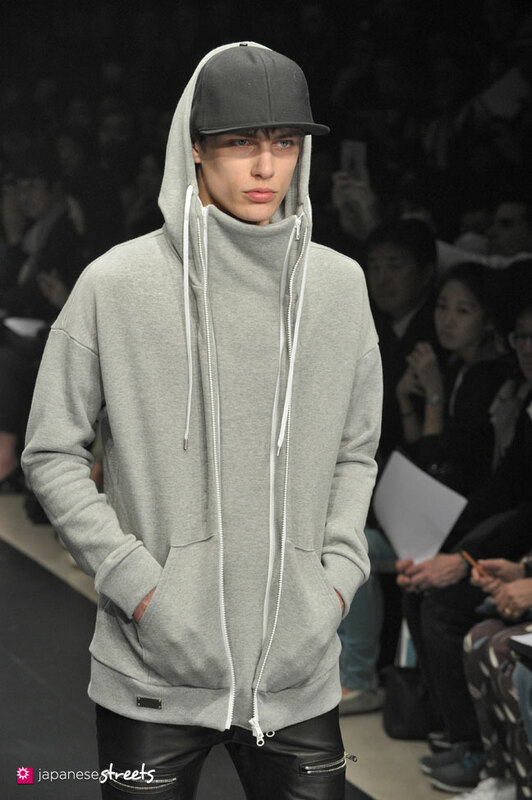 Me wants… but for women? 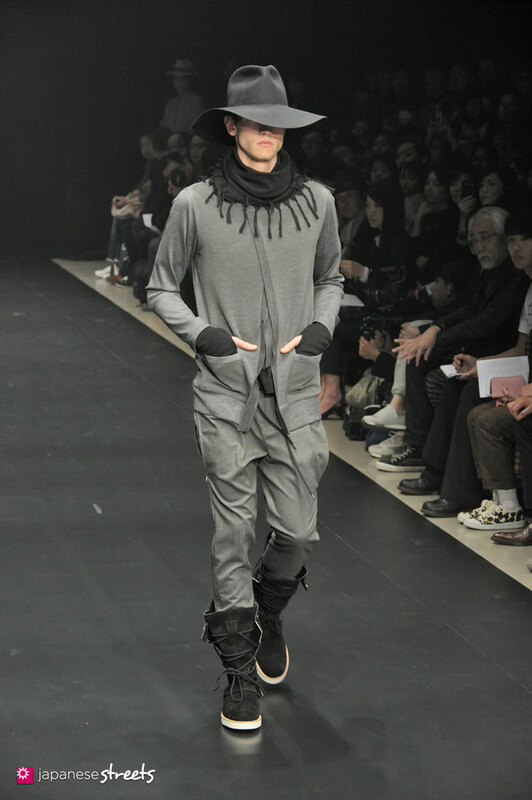 @Nekoagogo: I think they will look great on women, too.